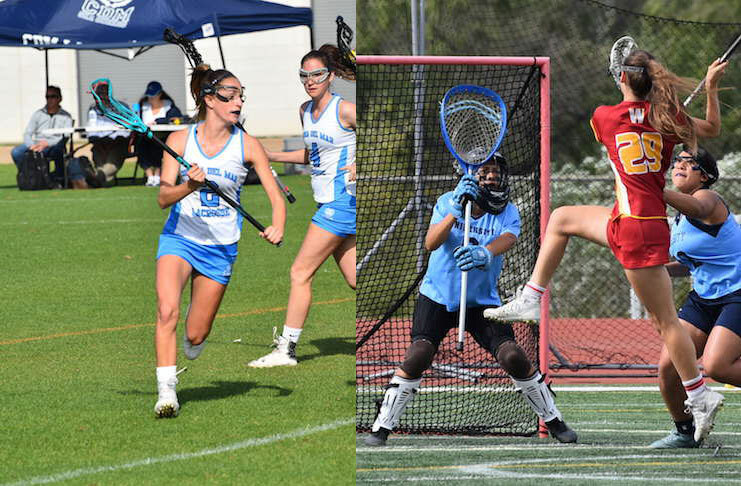 Corona del Mar senior Kennedy Mulvaney was named the Pacific Coast League Most Valuable Player and University sophomore Gracelyn Caceros was named Goalie of the Year to headline the 2017 Pacific Coast All-League selections. Mulvaney led the Sea Queens in nearly every statistical category this season. She led the team in points with 110 (59 goals, 51 assists), groundballs with 60, takeaways with 49, interceptions with 18, and draw wins with 60. Mulvaney helped the Sea Queens to the PCL title with a 10-0 league record. Caceros was between the pipes for every Uni game this season and allowed less than 8 goals per game. She led the Trojans to an 11-6 overall record and the program’s first playoff appearance. The Pacific Coast All-League Teams are presented below.